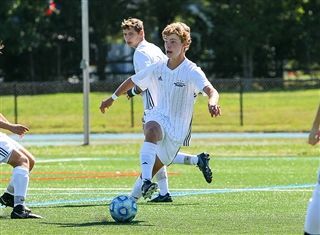 The boys' soccer team has been listed as one of the "great storylines" by NJ.com for this upcoming season. The team has moved up a division after winning the Skyland Conference Valley Division the past three years. Additionally, the Knights have moved to the competitive Non-Public, North B section. Despite being projected to have a younger squad take the field this fall and a tougher schedule, the program is still optimistic about having a successful season.